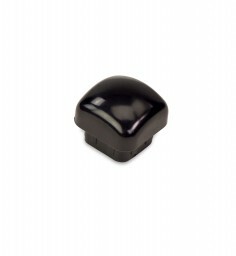 Provides room for 2 pens/pencils, business cards, communion cups and cards up to 8.75" wide. USA Made. 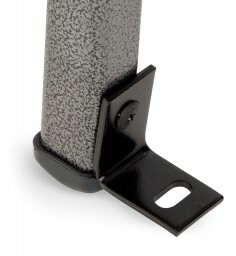 Patent Pending US61/904,933. 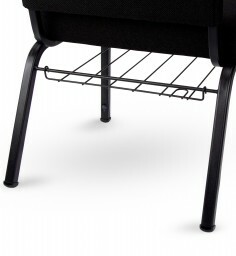 The Add-On Book Rack is a wire shelf designed to easily mount under your 18" or 20" wide chair to provide room for 2 medium or small books. 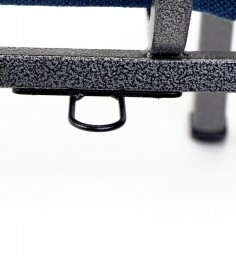 The Add-on Interlocks are designed to easily mount under your 18" wide banquet or 20" wide church chair to provide secure linking of chairs into rows. Made in the USA. 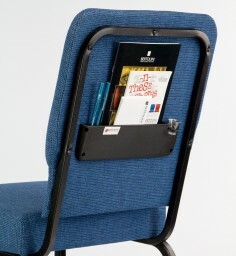 The Arm Chair Book Rack is a wire shelf designed to easily mount under your Arm Chair to provide room for 2 medium or small books. 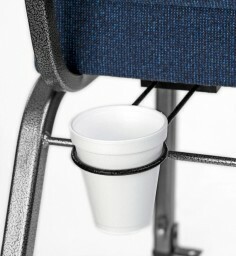 The Communion Cup Holder for the Arm Chair is designed to easily mount on the rear stretcher bar of your arm chair. Made in the USA. 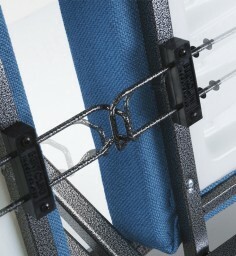 Floor anchors are designed to mount to the lower portion of the inside of the front legs of the chair to provide an anchoring point to the floor. Made in the USA. 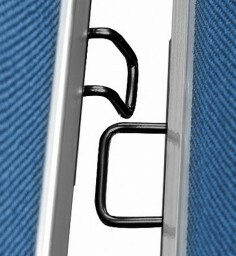 Retractable Interlocks are designed to easily mount under your chair to provide secure linking of chairs into rows; retractable when not in use., Made in the USA. 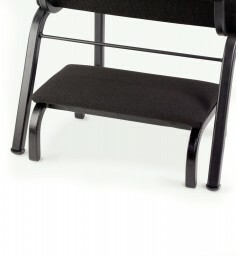 The Detached Kneeler is the perfect accessory where tradition and reverence in worship are important. Made in the USA. 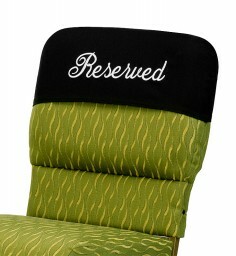 Reserved Covers are designed to easily slide over the upper portion of the back of your 20" wide church chair to indicated a reserved seat. Made in the USA. 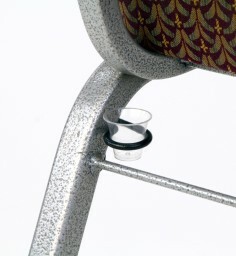 These glides fit most Bertolini chairs manufactured during or after 2004. Made in the USA. 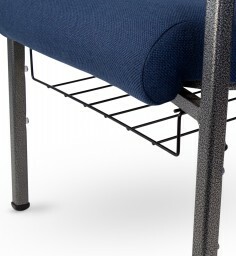 Get fabric by the yard to match your chairs. 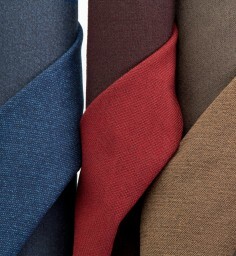 Call for fabrics and colors not listed.